With the Six Sigma Black Belt course, you will be a sought-after employee, who will be able to create significant business results. You become a practitioner who can lead multidisciplinary and cross-functional improvement-projects based on the international recognized and data-driven project methodology DMAIC. Not only will you be able to manage major business critical projects, you will also be able to take much more qualified and informed decisions in your work – decisions based on valid data, process insight and with an eye for interpersonal relationships. What will you learn through a Six Sigma Black Belt course? The learnings of a Black Belt course are usually very personal. New inspiration and personal reflections pulls in many directions. The possibility to choose from many different modules means that you can go more in depth within your own area of interest. So, grab the opportunity to learn something new or gain new perspectives on the professional skills that you already possess. Last but not least – with your training project, you will have delivered significant and lasting improvements in your organisation. This is a two day course and will count as two optional modules of own choice. At Storm – House of Six Sigma you can tailor your Six Sigma Black Belt training, so that it suits both you and your organisation’s needs. You gain the level of practitioner, that matches or exceeds international Lean Six Sigma standards and with an approved and completed project you achieve certification. If you already have a Six Sigma Green Belt Certification you only need to supplement your education with extra courses. On a clean Six Sigma Black Belt, you can choose from a variety of courses, each of which goes into depth with one or more of the themes that you have already been presented. You also have the option to choose courses that your project requires – but not part of the compulsory training. The optional courses cover courses in subjects within “Optimization and design”, “Organization and Management” and “Statistical optimization and design”. Click on the infographic below to find various suggestions for choice of module dependent on participant profile. Naturally, you are welcome to contact us, if you need assistance to make the right choice. At this course (DMAIC-project), your practical learning takes place. To be certified Black Belt, you must complete a practical DMAIC project. This is where you get an opportunity to test your new knowledge in practice. And this is where you can create the actual improvements and results for and in your organization. To support the entire project process, you must participate in a minimum of 6 and maximum 11 workdays, which is held at least once a month. These days you will find both teachers and other students who are in the process of their improvement projects. It provides room for common sparring, reflection and, not least, inspiration. You indicate in advance if you come to the workdays and what you need help with. We ensure that you have the proper help available to you. Furthermore, there will be room for working with your own project and getting individual guidance, participating in joint presentation of projects and working in smaller groups when it makes sense. In addition, you get 5 x 2 hours individual project coaching. Remember that you have a maximum of two years to complete your project to be certified. What is a workday at Storm? You can increase your skills by supplementing your Black Belt training with a Master Black Belt courses. As a Master Black Belt you will be a senior resource who has built very specialized competences within data analysis, development projects and/or strategical improvement initiatives. You can also choose to take the Lean Six Sigma Black Belt as Blended Learning. It will lower the cost, and make the education more flexible. Read more about the Blended Black Belt here. Additionally, you can also supplement with one or more of our other courses within Operational Excellence. The Black Belt training at Storm is truly professional and through it I have gained skills I am sure will be useful for future projects at Nordural. We are already using a variety of the techniques in our continuous improvement efforts and will continue to do so. The Six Sigma Black Belt training has provided me with a theoretical foundation to support my process competence – and knowledge to address/resolve issues through statistical visualization. During my studies, I have worked with a real and business-critical project to improve processes. The project has been successfully implemented and has resulted in significant and lasting improvements for the affected areas. I’ve taken all my Lean Six Sigma Belts at Storm – House of Six Sigma, starting with Yellow Belt to clarify if Lean Six Sigma was something for me. That’s when I completed the Green Belt education, because the statistics were a little scary to me. The Green Belt training encouraged me to expand my Lean Six Sigma toolbox, not least the statistics. Now I’m certified Lean Six Sigma Black Belt, where I in my project improved a supply chain with a gain of 1. million kr. annually. Not by rationalization and efficiency, but by improving through the wide involvement of employees in the involved departments. So now there is one accepted and well-functioning supply chain over many badly functioning. My Lean Six Sigma Black Belt training has given me a completely different insight into how to tackle problemsolving and ensure more robust solutions. It was great to have teachers who actually tried to work with DMAIC, who, with a good solid background, could back up and challenge one when needed. We as humans tend to want to skip where the fence is lowest. My certification project had been completed for a long time before I got certified – it was just the last finish. Pouline Belza, who was my “annoying” supervisor, did not accept that I could “just” deliver it as it was. Today I am really happy because now I have a document that I will be able to use as a roadmap in the future. My Black Belt training has given me the skills and mindset to act on statistics rather than gut feelings. Particularly in cause-analysis, this competence becomes important, as statistics can show quite different reasons than those you thought. I have had the opportunity to dig down and use the DMAIC method in the right way. It has been fun and educational to come to Storm and discuss the project model. My biggest learning is probably the maintenance of focus on the customer in all processes. In everyday bustle, production goals and budgets are easy foregrowned, but these are not necessarily in line with customer requirements and wishes. Looking forward, I will have much more focus on this distinction to ensure value-creating processes. Learning to be data-driven, that’s probably what made me the most – that we measure and verify that what we’ve made actually gives an effect and we get a profit. Through the Lean Six Sigma method, you begin to understand how to use its data in a sensible manner. You begin to identify and think about what is important to the customer. We have learned more about the foundry-process over the past 2 years than the previous many years using the Lean Six Sigma method, and by being more data-driven. 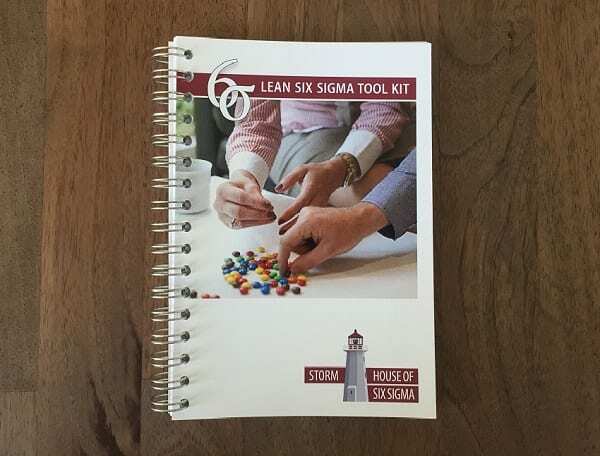 The Lean Six Sigma method provides a basic understanding of how we think of data, customers and processes – and it will create visible results in the organization if the method is spread internally and actively used. I got my Black Belt at Storm – House of Six Sigma, and the project has generated between 4 and 5 million Norwegian kroner. This was with great help from several consultants from Storm – House of Six Sigma, who was incredibly skilled at bringing different skills into the project when there were various challenges throughout the phases. I have applied the Six Sigma project method to a process that was out of control. The yield was too low and the variation in yield was unacceptably high. This project method (DMAIC) provided tools and a methodology that ensured that we got all the way around the problems and were able to choose the right solutions and test them systematically rather than “usual suspected” and “quick fixes”. The course has also challenged my mindset as to when a problem has been solved, so there has been more focus on, that it should not occur again, than I’ve typically been used to. All in all, it has been very rewarding, especially that all the tools have been tested on my own project and my own issues, and I can really bring many things with me into the next project. The Lean Six Sigma Training with Storm – House of Six Sigma has been a really good experience. Both the theoretical training and sparring during the project have worked well. Storm has been very good at managing a project that resembles the classic understanding of Six Sigma projects. I have had good help in keeping the project on track, but at the same time got free rein to adapt and use the tools and methods we have worked with in the training. My project has created a broader cross-organisational understanding of both processes and challenges in our processes. In addition to actual savings, the project has especially contributed to increased employee satisfaction and ideas for new improvement projects in the same area. Getting acquainted with Six Sigma, DMAIC and the tools associated with it has given me and my colleagues a new way of thinking and working. Six Sigma forces people to base their decisions on data. It has been very educational for all. Some obvious ideas could not be proven by means of data, and it meant we had to go other ways. Storm’s way of teaching is really good. The combination of theory and practice makes learning easier to relate to. In addition, the practical assistance through the project is priceless to achieve a good result.